Nearly two million people have fled Venezuela’s economic and political crisis since 2015, the U.N. said Monday, calling for a “non-political” response to an exodus that is straining regional resources. 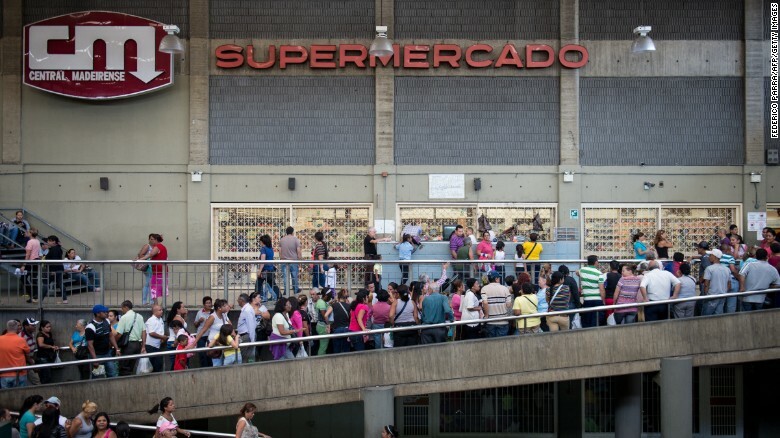 “Some 5,000 people are now leaving Venezuela daily –- the largest population movement in Latin America’s recent history,” United Nations refugee agency (UNHCR) chief Filippo Grandi told the organization’s executive committee. Citing government data, UNHCR spokesman William Spindler told AFP that 1.9 million people had left the country since 2015, an increase on a previous count of 1.6 million. Colombia, which has taken in more than a million Venezuelans, called last week for a regional response, saying the migrant crisis was costing it about 0.5 percent of GDP — around $1.5 million dollars. Grandi applauded Latin American countries for keeping their borders open but said the regional response needed more “coherence.” But the countries concerned also needed more support, he conceded. President Nicolas Maduro‘s government has since been slapped with a range of sanctions over its crackdown on the opposition and civil society critics.